Disney’s “Alexander and the Terrible, Horrible, No Good, Very Bad Day” follows the exploits of 11-year-old Alexander (Ed Oxenbould) as he experiences the most terrible and horrible day of his young life—a day that begins with gum stuck in his hair, followed by one calamity after another. But when Alexander tells his upbeat family about the misadventures of his disastrous day, he finds little sympathy and begins to wonder if bad things only happen to him. He soon learns that he’s not alone when his mom (Jennifer Garner), dad (Steve Carell), brother (Dylan Minnette) and sister (Kerris Dorsey) all find themselves living through their own terrible, horrible, no good, very bad day. Anyone who says there is no such thing as a bad day just hasn’t had one. “Alexander and the Terrible, Horrible, No Good, Very Bad Day,” directed by Independent Spirit Award-winner Miguel Arteta (“The Good Girl,” “Cedar Rapids,” “Youth in Revolt”) from a screenplay by Rob Lieber, is a 21 Laps Entertainment/Jim Henson Company production. The film hits theaters nationwide Oct. 10, 2014. 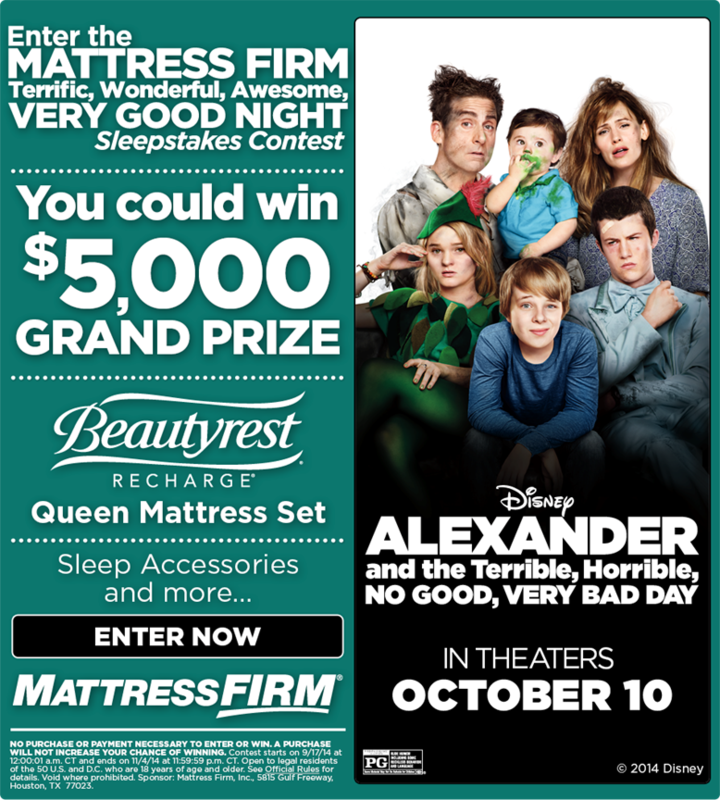 Mattress Firm, Inc., the leading retailer of mattresses and bedding accessories in the United States, is collaborating with Disney’s “Alexander and the Terrible, Horrible, No Good, Very Bad Day” to present a “terrific, wonderful, awesome, very good night” Sleepstakes contest. Participants can enter for a chance to win the six-week Sleepstakes, which will run from Wednesday, Sept. 17 to Tuesday, Oct. 28, by visiting www.mattressfirm.com/alexander. 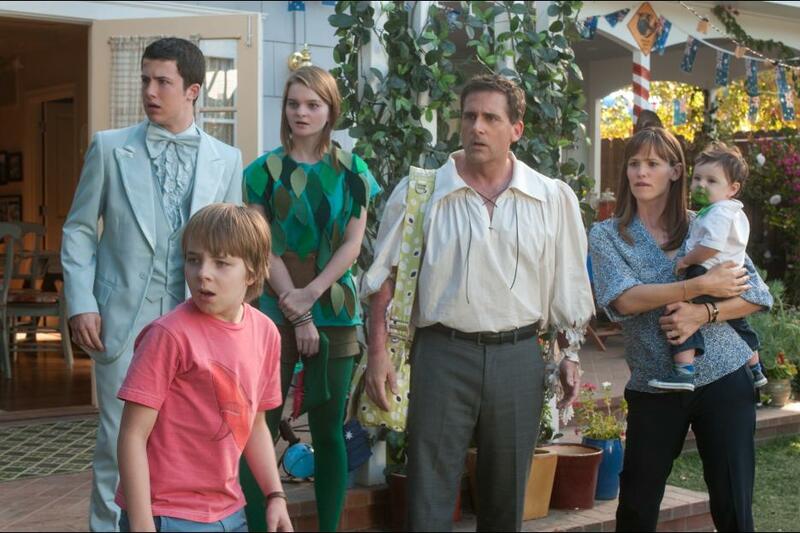 “Alexander and the Terrible, Horrible, No Good, Very Bad Day” is in theaters Friday, Oct. 10.